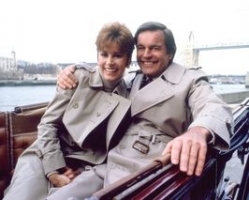 Hart to Hart season 5 opener is a fan favorite. What happens after the proposal to bring the fans back to the pilot? Even though she knew to what he was referring, Jennifer turned and looked out the door, following her father’s gaze. Then she smiled as she pulled him into a hug. “We are all exhausted."